Fiber is an underappreciated nutrient. While not technically essential (meaning we won’t die without it), scientific studies confirm that high fiber intake may be one of the single most important dietary choices we can make for better health. 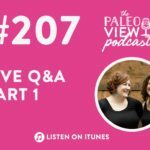 Fiber is a carbohydrate present in the cell walls of plants that our bodies can’t digest. It does all sorts of incredibly important things like feeding probiotic bacteria in our digestive tracts, binding with toxins, hormones, bile salts, cholesterol and other substances in the gut to help our bodies eliminate them, regulation of some hormones (like the uber-important ghrelin), stimulating production of some neurotransmitters (like melatonin) and adding bulk to stool to regulate peristalsis. I’ve made an effort to provide as much background on fiber as possible (start with The Fiber Manifesto, Part 1 of 5: What is Fiber and Why Is It Good? ), debunk fiber myths (see The Fiber Manifesto, Part 5 of 5: Busting the Abrasive Insoluble Fiber Myth) and generally lay out evidence-based information on the role I think fiber should play in our diets. 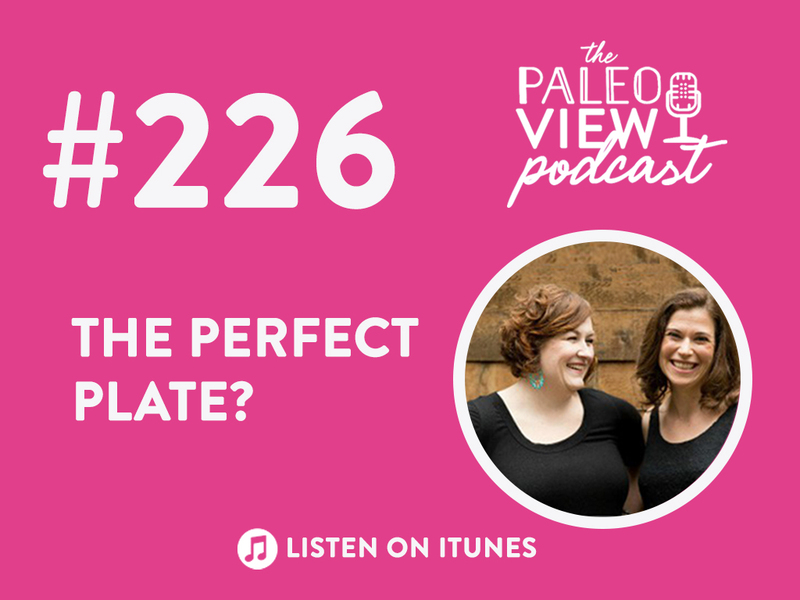 I can boil it down to this: we should be eating more whole-food-based fiber of all forms! 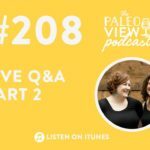 The Standard American Diet is nearly devoid of fiber, and even those of us following a Paleo template might not be getting the variety or volume of fiber we need for optimal health. 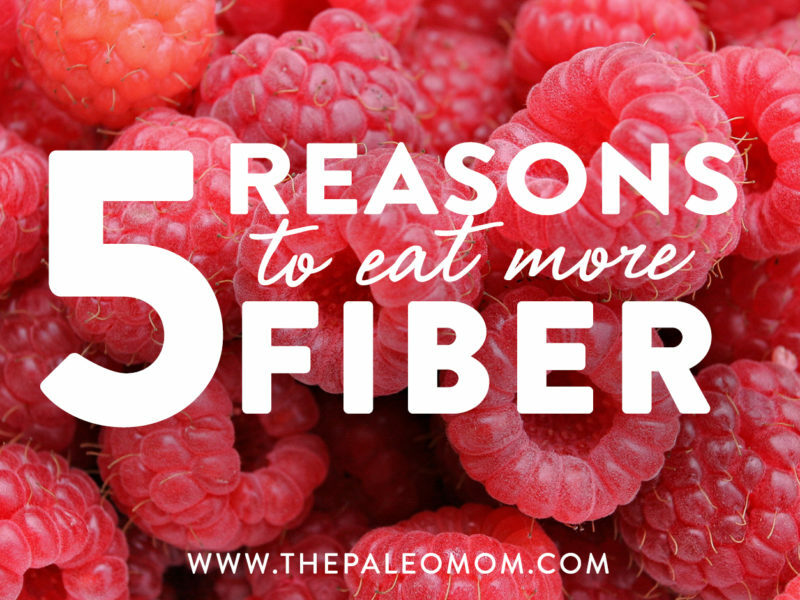 Read on for 5 reasons why more fiber is the answer! type 2 diabetes, cardiovascular diseases, immune diseases (e.g., asthma), and autoimmune diseases (e.g., rheumatoid arthritis) have increased. 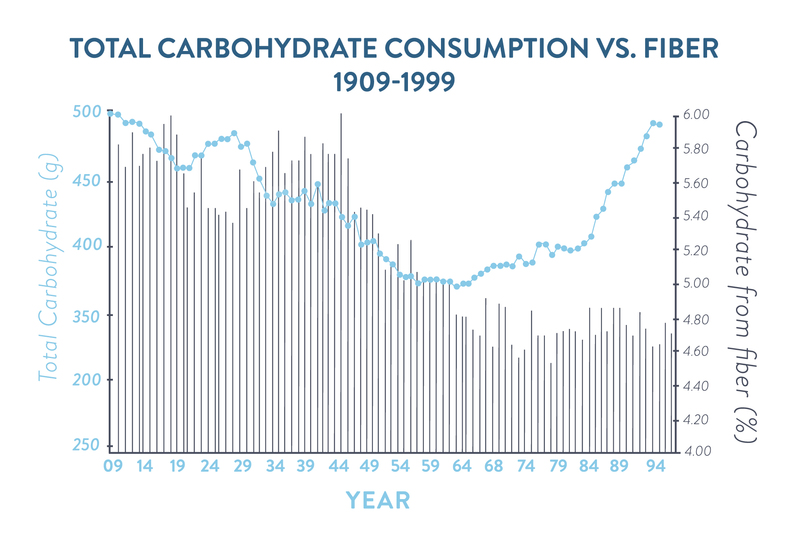 And while there’s certainly other changes in the American diet and lifestyle that have contributed to the rise in chronic illness, this correlation cannot be ignored. Diets rich in fiber have been linked to lowered risk for type 2 diabetes, cancer, cardiovascular diseases, and an overall lower level of inflammation. Replacing the bread, pasta and refined carbohydrates on your plate with vegetables is an incredible way to improve the value of the calories you’re consuming. 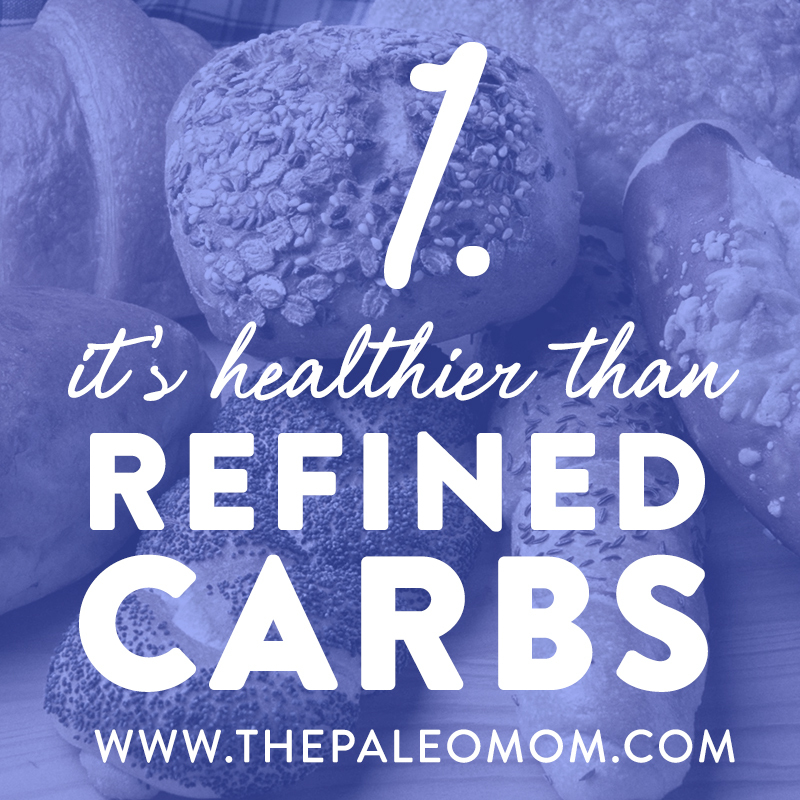 Even carbohydrate-dense vegetables like potatoes, sweet potatoes, winter squash and even fruit have more fiber, minerals, vitamins and phytochemicals than refined (or unrefined!) grain-based carbohydrates (see Gluten-Free Diets Can Be Healthy for Kids). The take-home message is that eating whole foods and avoiding refined carbohydrates makes for a healthier diet! We get fiber from plants (and insects with exoskeletons, but I’m pretty sure that’s not a regular part of the diet of most of my readers). It’s no secret that I’m a huge proponent of large vegetable consumption (just search Instagram for #threequartersveggies) and generally recommend that we aim for 10-14 servings of veggies per day (scientific studies suggest 8 servings per day as a minimum for optimal health). 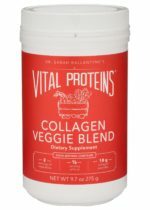 In terms of fiber, one of the most important aspects of that recommendation is that we eat a variety of different veggies focusing on varied colors, leafy greens, cruciferous veggies, and a few servings of starchy veggies as well. Different veggies contain different types of fiber (see The Fiber Manifesto, Part 2 of 5: The Many Types of Fiber), and varying those types is critical for our gut health (especially supporting a healthy diversity of gut microorganisms), among other things. Of course, eating quality meat and seafood is important too, but a key to meeting our micronutrient needs is prioritizing eating lost of vegetables (see The Diet We’re Meant to Eat, Part 3: How Much Meat versus Veggies? and Carbs Vs. Protein Vs. 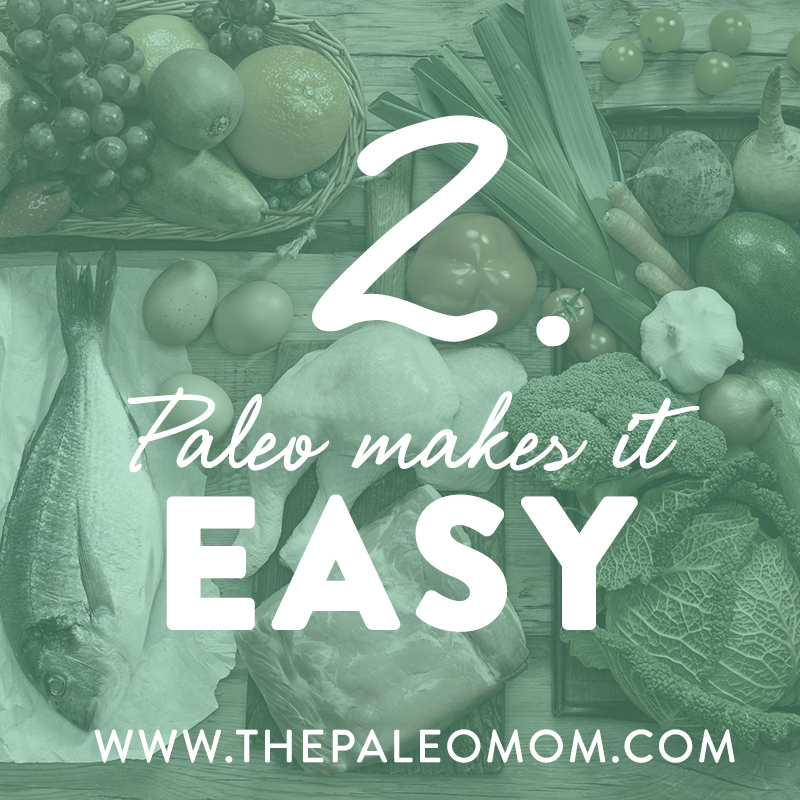 Fat: Insight from Hunter-Gatherers and 3 Ways to Up Your Nutrient Game). If you are trying to get more fiber into your diet, a diet rich in vegetables (and including some fruit and nuts) is the best method. Non-starchy vegetables mainly contain insoluble fiber but they also contain some soluble fiber whereas starchy roots and tubers contain more soluble fiber but also some insoluble fiber. There are several major classes of fiber, including cellulose, hemicellulose, pectin, and chitin. Each serves a different purpose and reacts differently in the body (some are fermentable, meaning that the bacteria in the gut ferment them by using them as fuel, while others aren’t and serve to regulate digestion in other ways). In order to optimize the benefits of fiber for our body it is important to not only consume a mix of insoluble and soluble fiber (see also The Fiber Manifesto–Part 3 of 5: Soluble vs. Insoluble Fiber) but to also get a variety of the major classes of fiber. Since all of these types of fiber can be found in different combinations and amounts in vegetables, following a Paleo template, making our plate #threequartersveggies and generally focusing on getting 10-14 servings of veggies a day, we’ll be much more likely to get the fiber our body needs. 3. 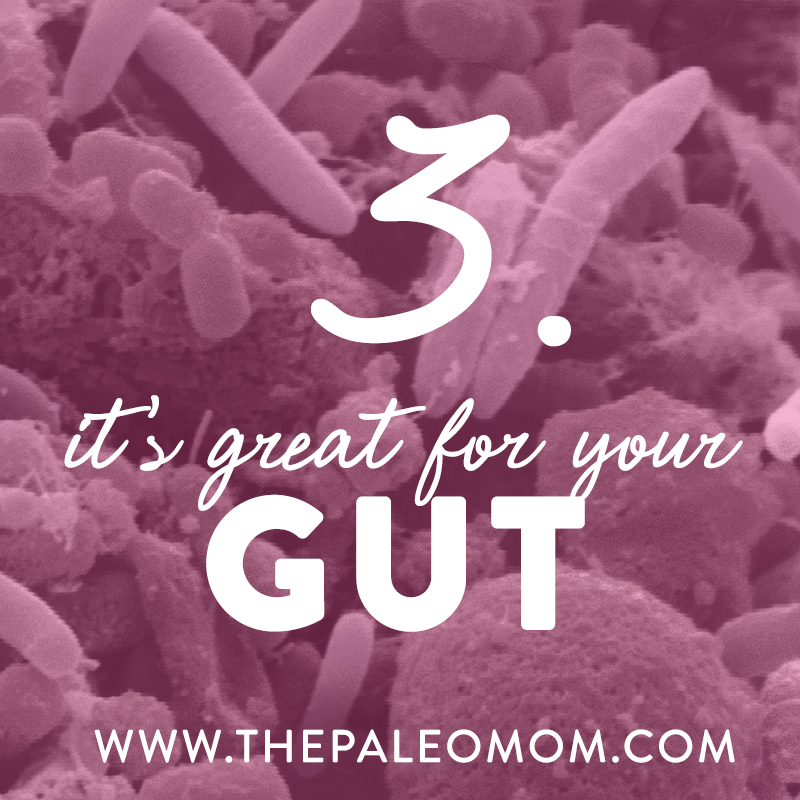 It’s great for your gut bacteria! As I mentioned above, different classes of fiber serve different purposes in your body. Soluble fiber in particular is a fantastic source of food for our good gut bacteria. Soluble fiber dissolves in water, meaning that it forms a gel-like substance as it travels through our GI tract. 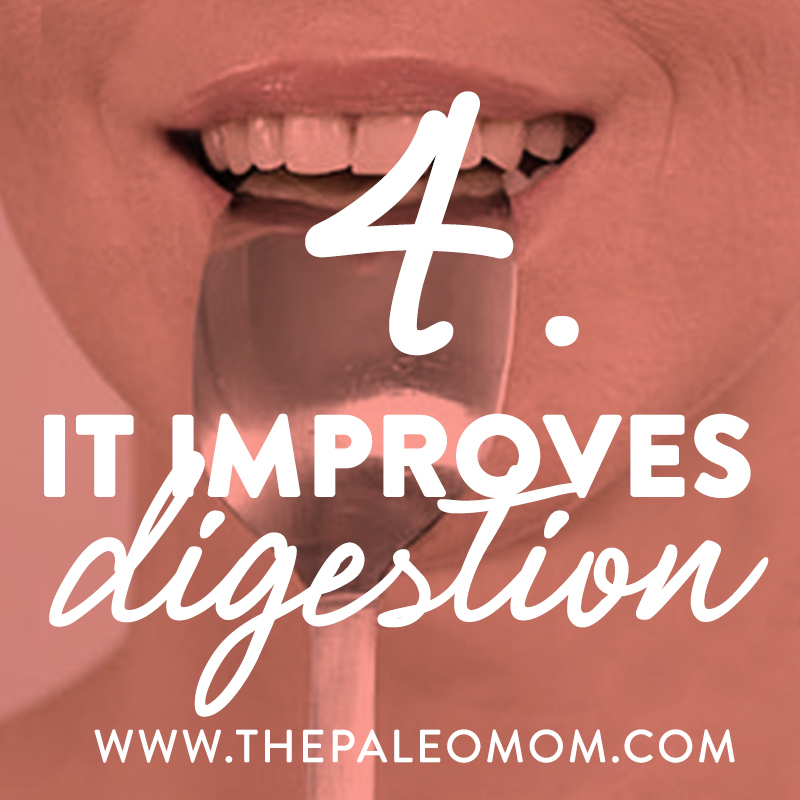 It’s highly fermentable by the bacteria in our guts, meaning it makes a great source of food for them. When gut bacteria are happy, i.e., the right kind of gut microbiota are fed with the right fiber sources, they produce more active byproducts that are used by us (most notably, our gut microbiota is responsible for many of the interconversions between vitamin types! For example, vitamin K1 is converted to K2, and K2 is the active type that our cells use). One note of caution: avoid supplementing with isolated starches in order to increase your intake of fiber. You might be thinking (or might have read something suggesting) that supplementing with resistant starch, like potato starch, or inulin fiber, like chicory root, is a great way to increase your fiber intake. In short, I don’t agree. 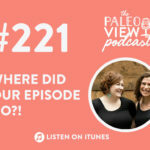 I’ve written in the past (see Resistant Starches: It’s Not All Sunshine and Roses and TPV Podcast Episode 222, Resistant Starches, Finally!) 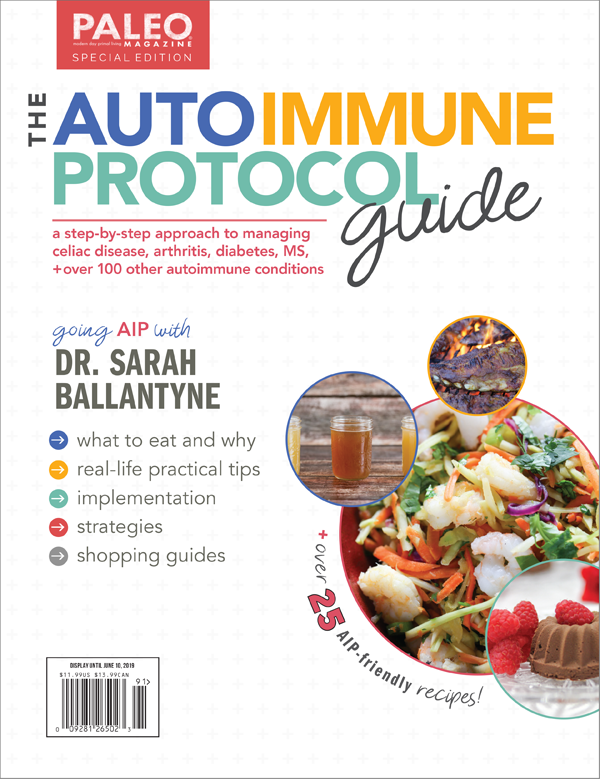 that while whole food sources of resistant starch may be a health boon to the body, supplementation of concentrated sources of resistant starch—which is becoming all-the-rage in the low-carb, ketogenic diet, alternative health and primal/Paleo communities—or sources of soluble fiber like inulin (chicory root for example) isn’t such a good idea. Research indicates that resistant starch is most effective when it’s eaten in its whole food forms. And, we know that selectively feeding certain bacteria (as in the ones that like to eat resistant starch or the ones who love inulin) might actually lead to the development of bacterial imbalances in the gut, allowing the growth of more harmful strains, like E. coli. Ew! 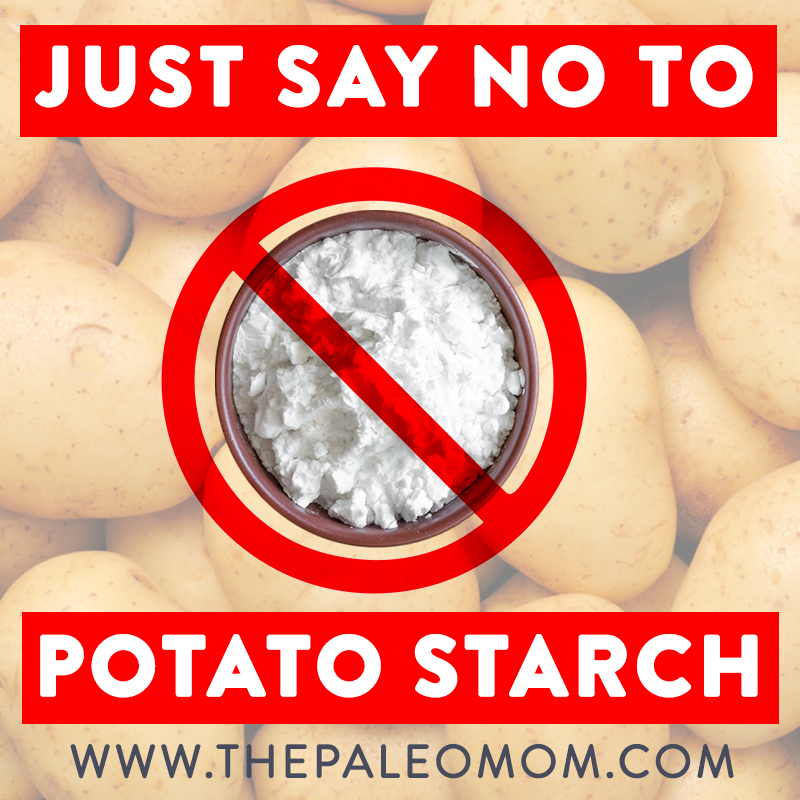 Eat resistant starch where it naturally occur, like in cooked potatoes, raw green bananas, plantains, yams, and other root vegetables. These provide not only resistant starch, but also a variety of other fibers and micronutrients that benefit health. Inulin is found in root veggies too as well as vegetables from the cruciferous family. Insoluble fiber ( see The Fiber Manifesto–Part 5 of 5: Busting the Abrasive Insoluble Fiber Myth) doesn’t dissolve in water. The kinds of insoluble fiber that can be fermented by the bacteria in the gut release gases and active by-products like short-chain fatty acids and vitamins, while the non-fermentable insoluble fiber increases stool bulk by absorbing water. Increasing stool bulk is a very effective way to improve the regularity of bowel movements. This is, in essence, the way products like Metamucil work (although I definitely don’t recommend using Metamucil! 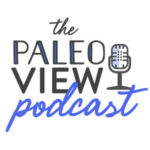 see The Verdict on Psyllium Husks: Not Paleo!). In addition to regulating bowel movements, insoluble fiber also helps with repressing the hunger hormone, ghrelin. 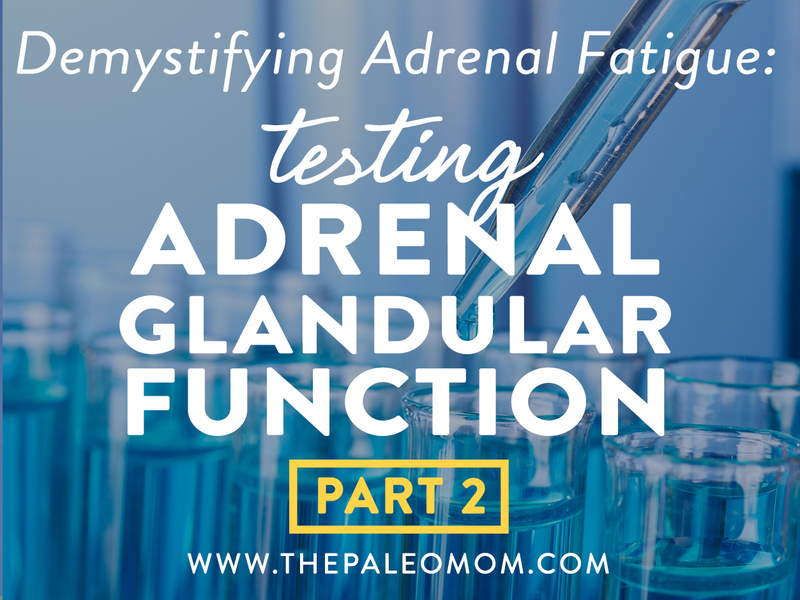 It is important for our body to release ghrelin to tell you that you are hungry, but it is equally important to have low amounts of ghrelin once we eat to tell our brains we’re full. Insoluble fiber is also great at binding excess hormones in the gut (like estrogen) and facilitating their release, ensuring that the digestive system is working properly and aiding our livers in their detoxification pathways. Finally, unlike soluble fiber, insoluble fibers also aid in the recycling of bile salts (see The Fiber Manifesto–Part 4 of 5: Fiber, Cholesterol and Bile Salts). Produced by the liver and released into the small intestine during digestion, bile salts are necessary for digesting fats. Since insoluble fiber does not attach to these salts like soluble fiber, we think it helps in the recycling of the bile salts back into the liver; recycling of bile salts is important for good digestion and also for making sure that the liver can keep up with the body’s demand for them. It’s no secret that I have an obsession with sleep! 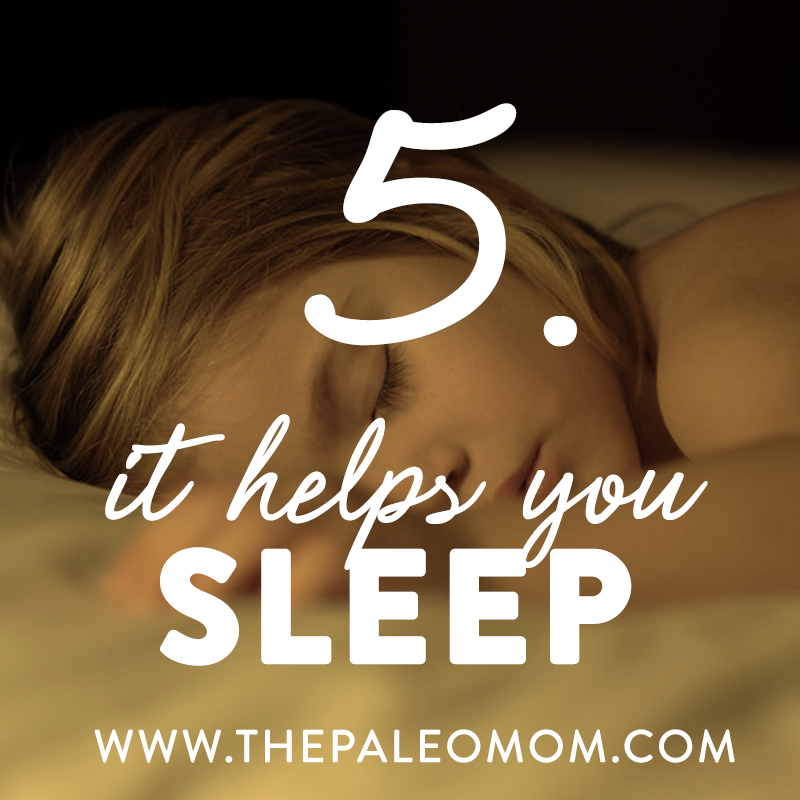 I even wrote a 350+ page e-book, Go to Bed, featuring the 14-Day Sleep Challenge that will put you on the path to better sleep! While researching this book, I came across some truly fascinating information about the link between fiber and sleep! 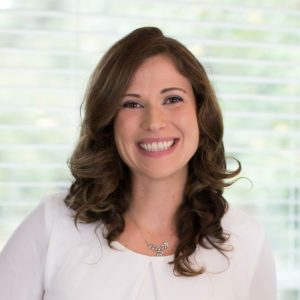 A study published in the Journal of Clinical Sleep Medicine looked at how two different diets would affect the sleep of a group of carefully selected participants. The first diet involved the participants choosing what they ate throughout the day within a budget of $25 and the second diet involved the researchers dictating exactly what the participants would eat (see Because Fiber Wasn’t Awesome Enough: New Science Suggests Fiber Improves Sleep Quality)! The researchers found that increased fiber intake led to deeper sleep and more fiber combined with less saturated fat and more protein led to a shorter time to fall asleep. This study is really the first of its kind, and its results give us even more evidence for the importance of fiber not just in digestion, but in overall health! So there you have it: five reasons to focus on fiber (and really, on vegetables) at your next meal! 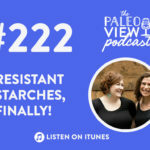 TPV Podcast Episode 222, Resistant Starches, Finally!